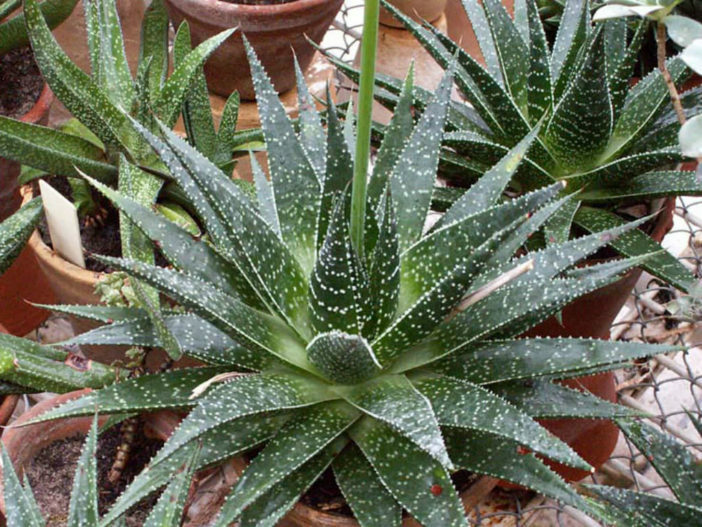 x Gasteraloe beguinii is an elegant, succulent plant with round rosettes up to 10 inches (25 cm) tall. 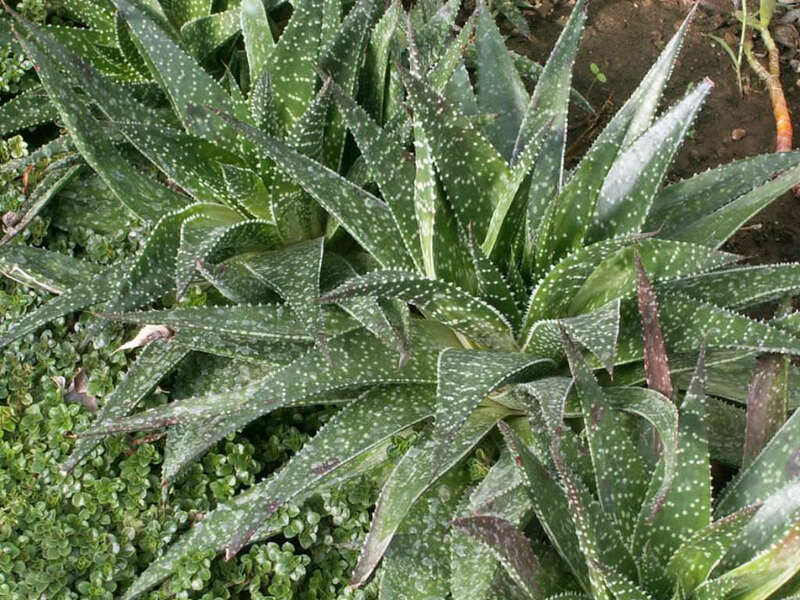 The leaves are triangular, pointed, dark green, reddish in light and covered with large, white tubercles. 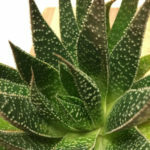 It blooms the same time as Aristaloe aristata and the flowers are the same color as the flowers of A. aristata, with dark tips, but no faint lines and no basal swelling. 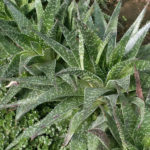 x Gasteraloe beguinii is a hybrid of Aristaloe aristata (formerly known as Aloe aristata) and Gasteria carinata var. 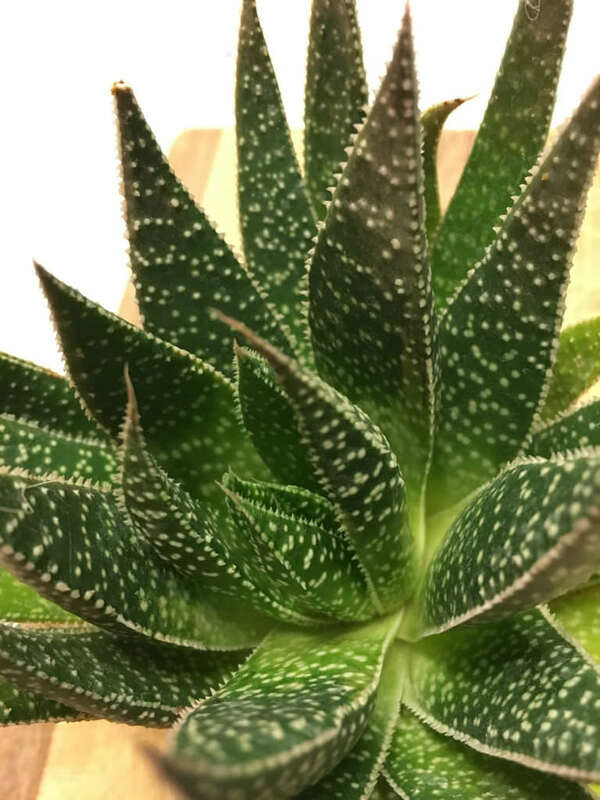 verrucosa.